With the GoFlo® CNG80 compressor, fleet operators can refuel with natural gas in the most convenient, cost-effective way possible. Onboard Dynamics seeks to lower fuel costs and carbon emissions by removing infrastructure barriers to driving natural gas-powered vehicles. 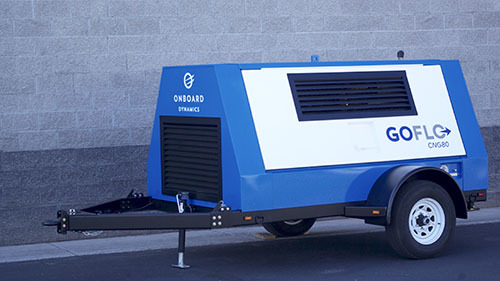 SoCalGas and Onboard Dynamics Announce Second Demonstration of New Mobile Natural Gas Compressor Read the announcement. 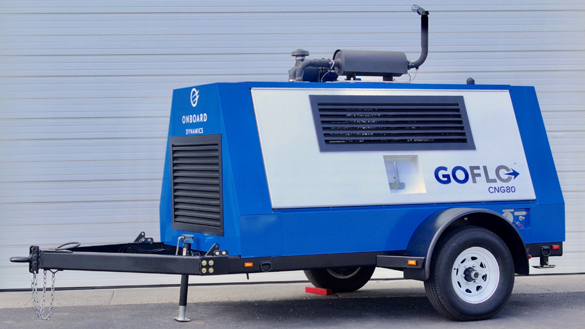 Onboard Dynamics Delivers its GoFlo® CNG80 Mobile Compressor to NW Natural Read the article. Onboard Dynamics featured by CRES for National Small Business Week. Read the article. Onboard Dynamics CEO Rita Hansen was recently profiled in the Clean Energy Business Network’s Faces Behind the Facts series. Read the article.